1.Suitable for side-seal high & low pressure plastic hand bag (BOPP). 2.Exclusive design of large liquid-crystal screen, special servo motor for feeding, PLC integrated control system. 3.Fully-automatic high-speed achievement from roll to hot-melting for soft hand ropes and stick pieces, strong support force (patent). 4.Invention and design of printing magic eye, high-tech computer control and easy operation. 5.Design of pre-heated knife with special lines, heating on both sides, strong fusion, invariable bag shape and easy adjustment. 6.The best seal knife is adopted, invariable after high-temperature heat, reasonable structure design, fast turn-over, clean and simple. 7.Design if thermal punching, easy-cut, automatic waste fall-off (patent). 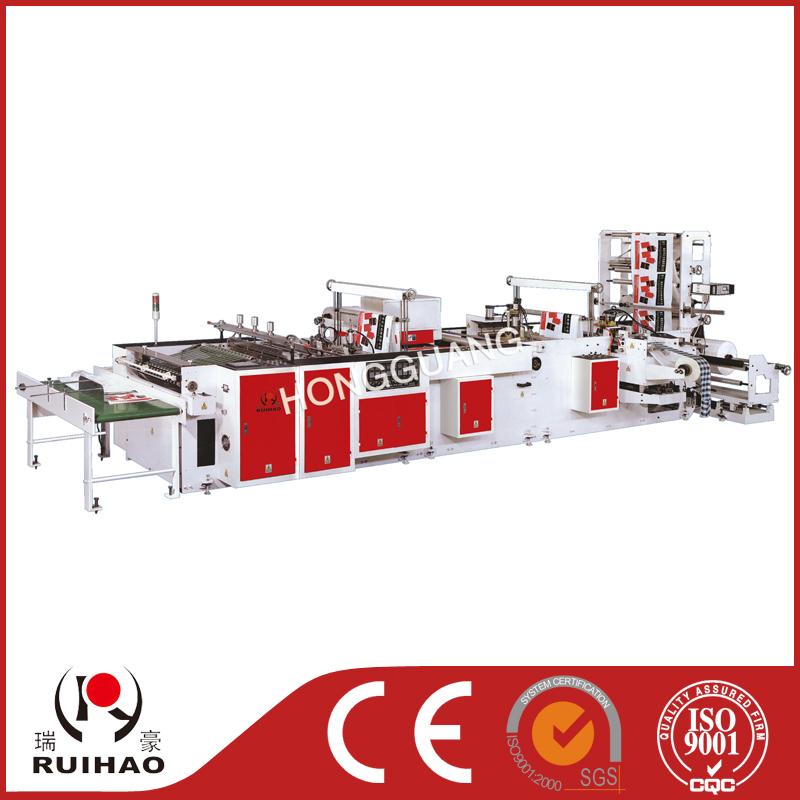 8.Folding equipment for sheet film is optional.